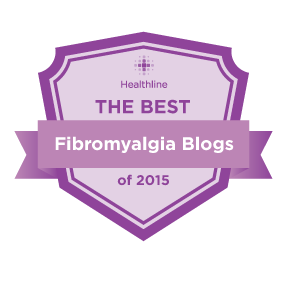 Fibromyalgia … isn’t just pain! I was talking to a friend at gym this weekend and was telling her about how I have to choose my clothing. She did not know about Allydonia. She like so many others have no idea what it means to have Fibro. I don’t expect non-fibromites to “get it”. They can’t. Just like I can’t understand what it is like to have Cancer or have lost a family member to that awful disease. I have seen enough of my friends deal with having it themselves or one of their family members that I understand what the stages mean, what it means to have bone cancer, the various treatment options & the side-effects that can occur. If you have read my blog before you are aware that I am not fond of the Fibro commercials on TV. The only good thing is that more people are aware that it exists. “Oh, I have seen the commercials for that on TV” assuming the solution is so easy. What a disservice those commercials have done for us living the life with Fibromyalgia. They make it sound that all we experience is pain and with their “drug” the pain goes away. Ok, I used to say that. I now am the proud owner of 11 of the “evil sidekicks” (note sarcasm). No-one really wants to know our long list of symptoms and coexisting conditions. I can almost guarantee that half of our families do not even know what we have been diagnosed (especially since if you are like me every time I go to the Doctor~I add something to my list). I am still trying to understand all that Fibromyalgia can encompass. To start with, I didn’t know there are 3 types of pains. Fibromyalgia pain itself is divided into 3 types. Doctor Speak: Hyperalgesia is the medical term for pain amplification in FMS. Our brains appear to take normal pain signals, and turn them up making them more severe than they would normally be. Fibro Warrior: If someone “lightly” taps us on the tush as a fun “slap – IT HURTS US!!! Doctor Speak: Allodynia is believed to be a hypersensitive reaction that may result from the central sensitization. Fibro Warrior: It feels like you have the worst sunburn you have experienced all the time. Clothing, touches, the wind – HURTS!! Doctor Speak: Paresthesia is the sensation of tingling, prickling, or numbness in a person’s skin that has no apparent physical cause. Fibro Warrior: It feels like when your leg “falls asleep”. I have been working on building my Fibro Facebook page and blog to offer informational tabs along with introducing myself to the newest members of my support group. I started to type my Fibro history and which of the “evil sidekicks”(co-existing conditions) I have been diagnosed realizing that it really doesn’t explain what that means. In order to have a better understanding one needs to read the long symptom list and associated conditions. Sounds like an easy task; simply google information on the Fibromyalgia definition, symptoms, co-existing conditions or treatments. There are so many lists to choose from; Which list do we go by? They can be so confusing. I thought I would make a page that has it all. One definition described Fibromyalgia as; “a rheumatoid disorder characterized by muscle pain and headaches”. Wouldn’t that be wonderful if all it meant having was to have muscle pain and headaches? “Fibromyalgia is a chronic disorder characterized by widespread musculoskeletal pain, fatigue, stiffness, and multiple tender points. “Tender points” refers to tenderness that occurs in precise, localized areas, particularly in the neck, spine, shoulders, and hips”. There are many lists available showing as many as 100 symptoms usually including coexisting conditions. I have always found Healingwell.com a very helpful and supportive site. Below is their list; Highlighted = I have it. WOW! Wait we aren’t done. Now we need to add conditions that seem to co-exist along with Fibromyalgia. I call these conditions “the evils sidekicks”. It isn’t known if Fibro causes these other conditions to develop or if they cause Fibromyalgia. No matter what you have to learn how to manage the symptoms of Fibromyalgia and its “evil sidekicks”. Sjogren’s Syndrome – includes Rheumatoid Arthritis. This list is long and I don’t know about you but I don’t have an idea what most of these terms mean. It is my hope that by reading these lists you have learned that Fibromites are like Snowflakes – no two alike. We each have our own ever-changing increasing list of symptoms and side effects.